What are the Best Kitchen Table Styles? Familiarize yourself with common kitchen table types so you can pick the best one for your kitchen. What are the best kitchen table styles? Well, it depends on your kitchen. The best kitchen table styles are the ones that serve the functionality and the character of your kitchen space. Be they for homework, additional cooking prep area, or dining, kitchen tables must be an integrated aspect of your kitchen design. And whether they find themselves in a rough, rustic kitchen, a sleek industrial kitchen, or a somewhere-in-between eclectic kitchen, kitchen tables have to be more than the sum of their parts. Getting the kitchen table height or a table’s materials right isn’t enough. You need to consider how the table works with the rest of the kitchen’s purpose and look, which can be easily done with kitchen visualizer. Gone are the days when a kitchen table means an old scarred pine table passed down from generation to generation or a Formica-covered diner-style dinette set with vinyl chairs. Trending kitchen tables have much more design flair, and they’re ready to play with all manner of kitchen styles. Here are seven common kitchen table styles, along with a discussion of what type of kitchen they suit. 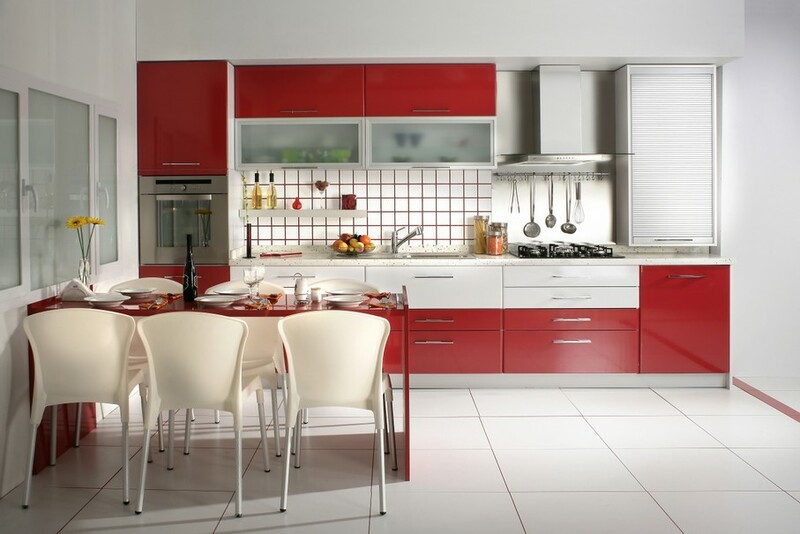 Matching kitchen dinette sets are kitchen tables that are made from the same materials used for the kitchen cabinetry. 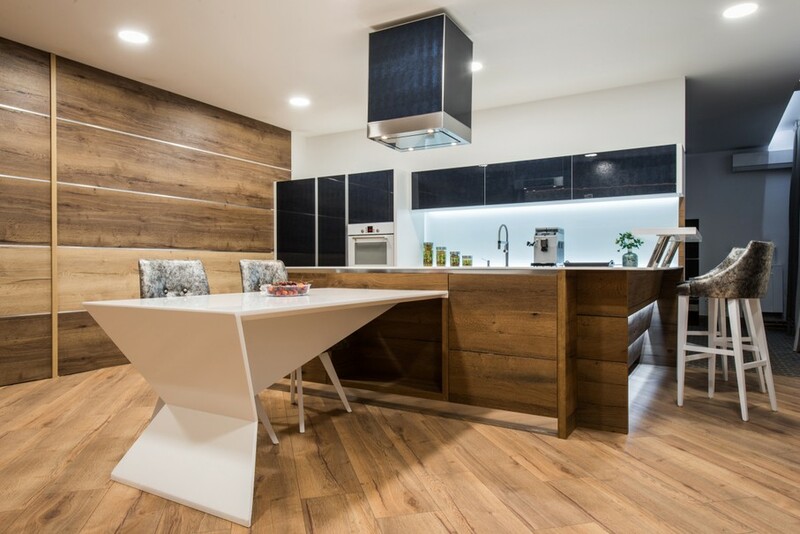 Although traditionally, this type of kitchen table is constructed from wood, modern matching kitchen tables can be as colorful and slick as modern cabinet materials. These tables, therefore, are well-suited for a bold contemporary kitchen space. 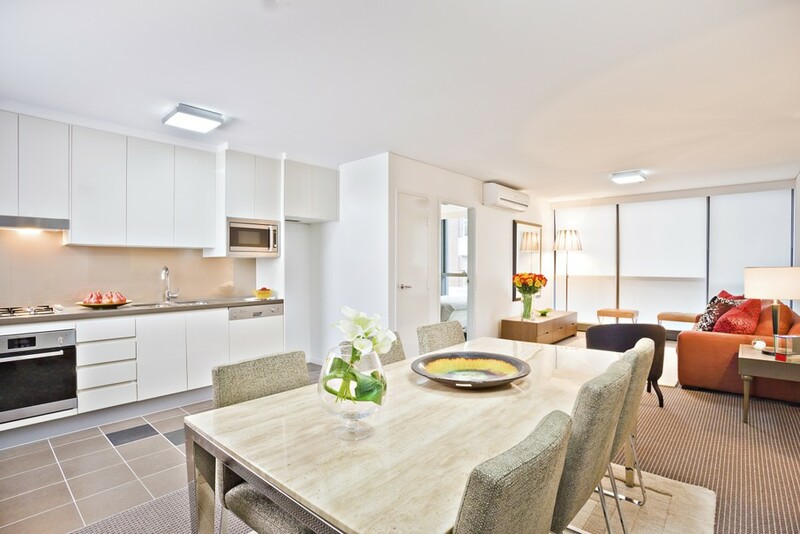 Counter-extending kitchen tables are a relatively recent innovation. They’re sort of a table/island/counter hybrid. Often extending out from an island, this type of kitchen table is attached at one end to the island or to a kitchen counter, but the table is of normal table height. This type of kitchen table can work in a more traditional space if it’s done well, but its best suited to a more current kitchen design. 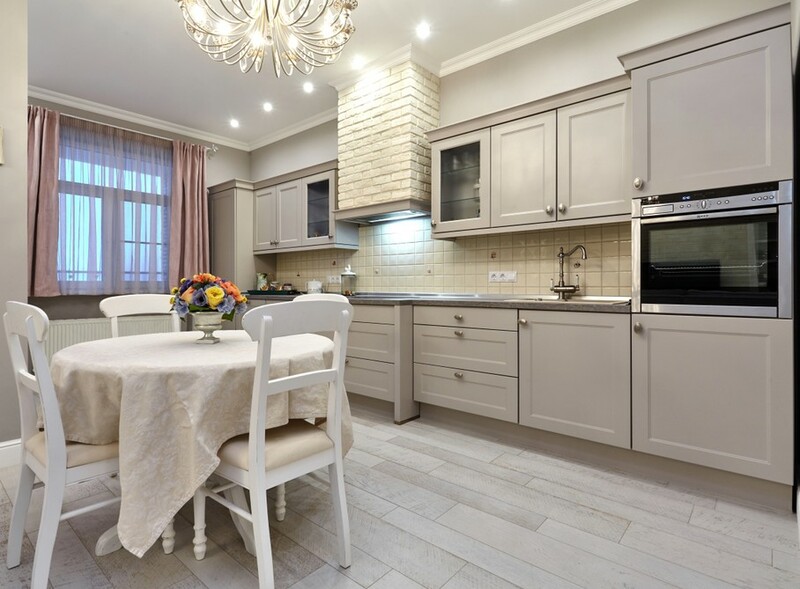 To pull off this look, be sure the kitchen table is made from a material that coordinates with your kitchen cabinetry and countertop materials in color and style. 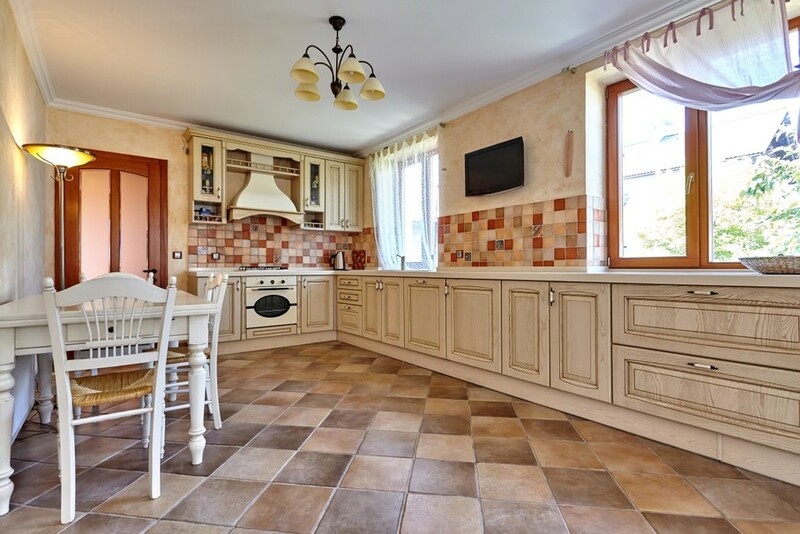 If you’re trying to maximize space in a small kitchen, you’ll what to choose your kitchen table from the variety of small kitchen table sets available. When it comes to small tables, casual kitchen tables generally work best. Casual kitchen tables are of simple design with minimal ornamentation. Although they can be made of any material, they’ll best fit a warm, casual kitchen if they’re made of wood or wood combined with some other material, like metal. 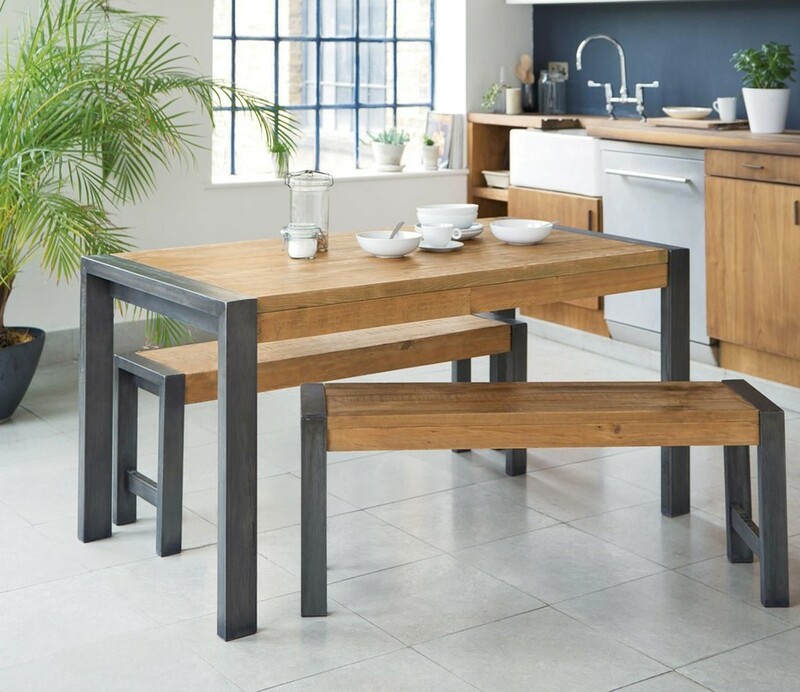 Simple straight chairs or wood benches are best matched with this type of table for a relaxed, easy-to-use presence in a kitchen designed for informal cooking and hanging out. Countertop kitchen tables are as their name suggests. Their surface is covered with a countertop material like granite, quartz, concrete, tile, or butcher block. These tables work well in a kitchen with a lack of counter space because their chopping-and-food-prep-friendly surface provides more work space for the cook. Whether these tables have a formal or informal appearance depends on the type of countertop material used. A butcher block-topped kitchen table would fit well in a rustic or country kitchen. A granite-covered table can merge into a more contemporary kitchen space. Another cooking-helper type of kitchen table is the counter height table. 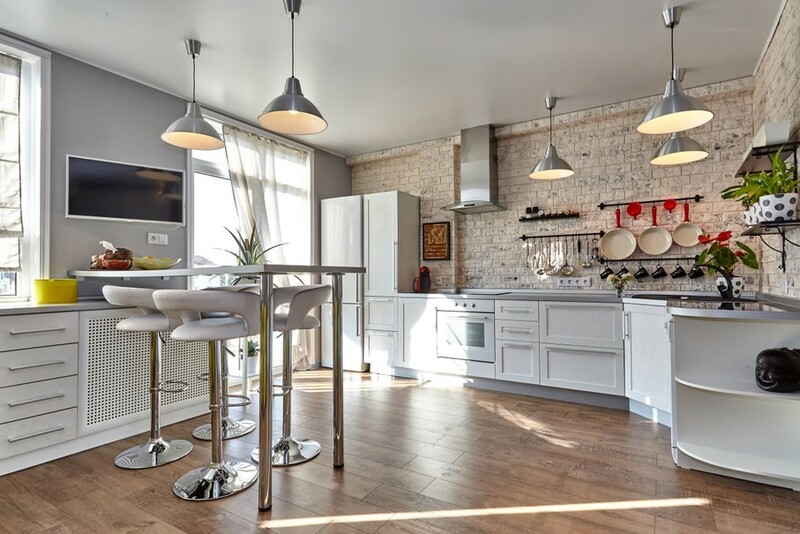 Although not tied into the kitchen décor as tightly as the Matching Kitchen Table, the Counter-extending Kitchen Table, or the Countertop Kitchen Table, counter height tables work well in kitchens because their surface is a convenient height for standing. Another good choice for a kitchen lacking in counter space, the counter height table provides a prep area or a dining area akin to an eating bar. This type of table can be in any style, but it works best in simple smaller kitchens. A counter height table in a big kitchen with an island would look cluttered and redundant. Traditional kitchen tables are generally made of wood. Unlike the casual kitchen table, traditional tables have more complex styling in the legs and the matching chairs. Not as ready for fine dining as the Elegant Kitchen Table (coming up next) and not as useful as the other kitchen table styles, this table does serve as a place for hanging out or for grabbing a quick bite. Especially well-suited to a country kitchen or rustic kitchen styles like the Tuscan style kitchen, this type of table doesn’t need to match its surroundings in terms of wood finish. It should, however, coordinate with the kitchen in color and design. Whether it’s an ornate table with sophisticated styling or a simple kitchen table covered with a linen cloth, elegant kitchen tables belong in a refined kitchen such as a modern, minimalist kitchen. If your kitchen tends toward the country, homey, or pots-and-pans-prevalent gourmet look, an elegant table will appear out of place. An elegant kitchen table requires an elegant setting. This includes not just the kitchen cabinets and appliances but the light fixtures as well. The best fixture for an elegant kitchen table is a chandelier. Round kitchen tables especially work well as elegant tables staged beneath eye-catching light fixtures. If you’re short on space in your home and you want a place for formal dining but don’t have a separate dining room, designing your kitchen to suit an elegant kitchen table will meet your needs. With this overview of current kitchen table styles, you should be able to choose the kitchen table style that’s just right for your kitchen.